If you're looking for a Tarot Reading, Chakra/Energy Cleanse And Restoration, or Spiritual Consultation please click on the Metaphysician link. You'll also find song-poems for each of the major Tarot cards and a Tarot tutorial. 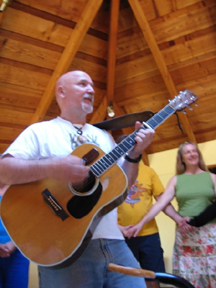 The Musician page has information about the house concerts I offer, freelance CD production (including music editing, mastering and graphic design), music lessons (voice, guitar, piano, theory and composition) and my CDs for sale. I did my graduate work at UC Santa Barbara, then a few years of independent study.